Based on a true story. On April 14, 1755, in the town of Princeton, Massachusetts, Lucy Keyes followed her sisters to fetch some sand from the lake at the foot of Wachusett Mountain. Lucy never returned. She vanished in the woods that day never to be heard from again... Now, 250 years later, Jeanne and Guy Cooley (Julie Delpy and Justin Theroux) move to the country, with their two daughters, to seek a fresh start. But, they soon learn that their town - and home - have a sordid history. 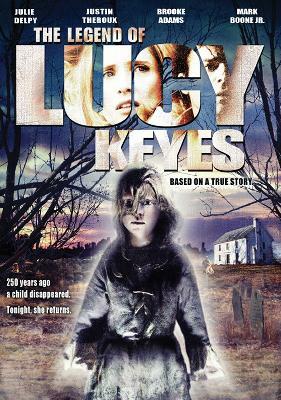 Haunted by dreams and cries in the woods at night Jeanne digs into the legend of Lucy Keyes and ultimately unearths a horrible, centuries-old secret. SPECIAL DVD FEATURES: 16:9 WIDE SCREEN FORMAT, BEHIND THE SCENES, DIRECTOR'S COMMENTARY, 5.1 STEREO SURROUND SOUND, DELETED SCENES, CHAPTER SELECTION, INTERACTIVE MENUS, OPTIONAL SPANISH SUBTITLES, BIOS/FILMOGRAPHIES AND TRAILERS.